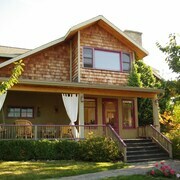 Lovely little B&B in the Naramata Bench, close to all the wineries and Kettle Valley Trail. 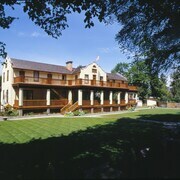 The location is fantastic, close to the beach and also at the foot of naramata, which is convenient for wine touring. 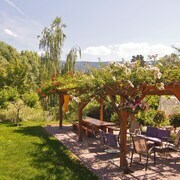 A great location in the middle of the Naramata bench and close to the Kettle Valley Trail. Clean, free pool and hot tub access. Free outdoor parking and internet. convient location if you are visting Mission Hill winery. Many fast food options around. Where to find Naramata hotels near an airport? Where can I find hotels in Naramata that are near tourist attractions? 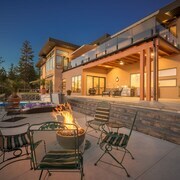 You will find a good range of places to stay to choose from when you are planning your vacation in Naramata. 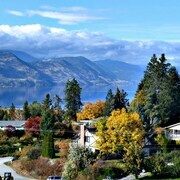 Just a short ride from Naramata's downtown visitors can select from 17 Expedia-listed hotels. Looking for a place to stay within strolling distance of central Naramata? 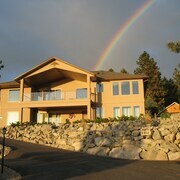 Above Naramata Bed & Breakfast and Naramata Courtyard Suites is sure to suit your needs. 30 kilometres (18 miles) away from the main part of Naramata, is the Playa Del Sol Resort. The The Cove Lakeside Resort is positioned 25 kilometres (15 miles) away. Two other Expedia-listed hotel options here are the Royal Bed And Breakfast and the Penticton Lakeside Resort, Convention Centre & Casino. Looking for more to do? 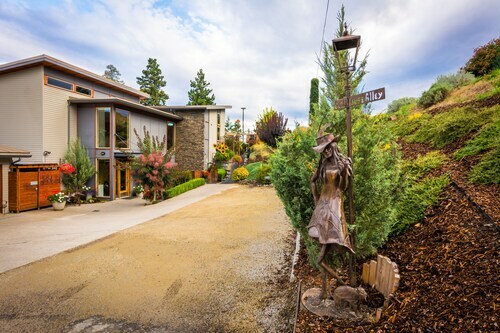 Spend the day enjoying SpierHead Winery and The View Winery, which you'll find in Southeast Kelowna, 30 kilometres (19 miles) to the northeast of Naramata. 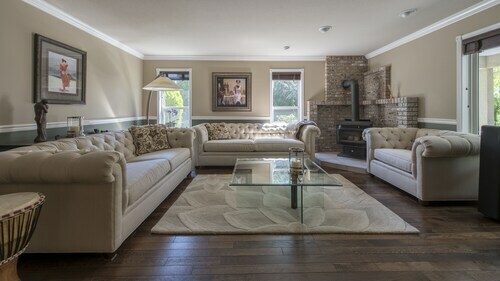 The Acker Vacation Homes & Suites and Sandman Hotel & Suites Kelowna are some of the Expedia-recommended hotel alternatives in Southeast Kelowna. 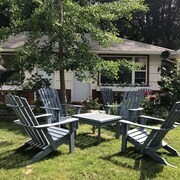 5 kilometres (3 miles) to the south of Naramata, you may also choose to stay at Naramata Bench, home to the OK Whistle Stop Bed & Breakfast and CastleRock. The Lake City Casino and Black Widow Winery are some of the most popular attractions to experience for those visiting Naramata Bench. Before you head home, why not spend an afternoon hanging out with Okanagan Valley sports fans at a local sporting fixture. You'll find Prospera Place 35 kilometres (21 miles) to the north of Naramata. Stay right near the action at the The Royal Private Residence Club or the Delta Hotels by Marriott Grand Okanagan Resort. Situated 15 kilometres (9 miles) from Naramata is Penticton Regional Airport. Stay nearby at Best Western Inn At Penticton or Ramada Penticton Hotel and Suites. What are the most popular Naramata hotels? Are there hotels in other cities near Naramata? 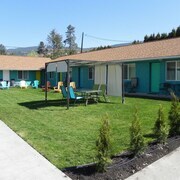 What other types of accommodations are available in Naramata? Explore Naramata with Expedia.ca’s Travel Guides to find the best flights, cars, holiday packages and more!